When Tony Benn left Parliament after 51 years he quoted his wife Caroline's remark that now he would have "more time for politics". And so this has proved: in the first seven years of this century he has helped reinvigorate national debate through public meetings, mass campaigns, and appearances in the media, passionately bringing moral and political issues to wide audiences. And throughout, as ever, he has been keeping his diaries. 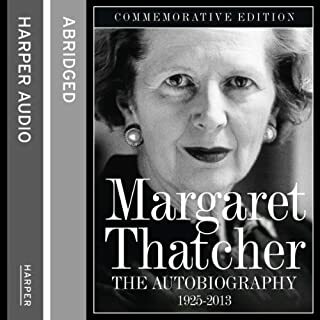 This abridged audio edition of the Diaries, read by the author, conveys even more directly than the Diaries themselves the achievements, conflicts, and dramatic events in a unique political life. 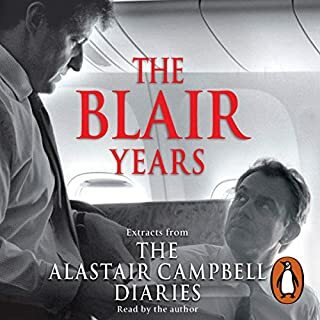 Late each night for over 25 years, the Labour MP and former Secretary of State Tony Benn sat alone and dictated onto tape his account of the daily events at the heart of government. 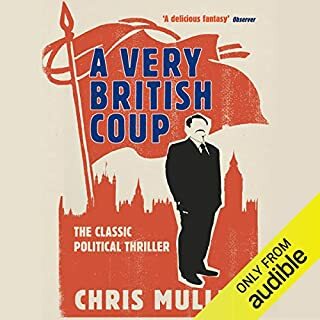 The immediacy, passion, and mood is striking as he unburdens himself of the pressure and stress, trials and tribulations of government and opposition, with accounts veering from anecdotal to almost confessional. 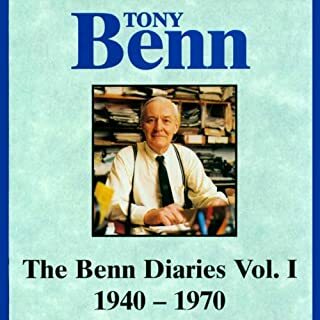 In this final volume of diaries, Tony Benn reflects on the compensations and the disadvantages of old age. With the support of a small circle of friends and his extended family, he continues his activities on behalf of social justice, peace and accountability in public life, to a background of political change and the international economic crisis. Sincere and from the heart. 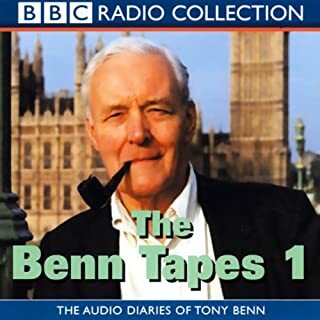 Late each night for over 25 years, the Labour MP and former Secretary of State Tony Benn sat alone and dictated onto tape his account of the daily events at the heart of government. Here, in the second highly acclaimed Radio 4 series, he reveals what he discovered from his scrutiny of the nuclear industry and why he now believes nuclear power is unsafe. Should be subtitled as ‘A warning from history’. 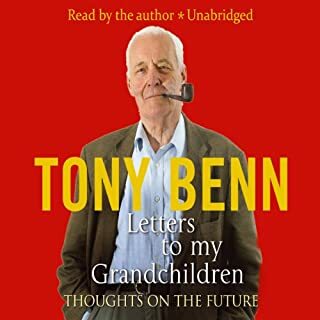 Born into a family with a strong, radical dissenting tradition in which enterprise and public service were combined, Tony Benn was taught to believe that the greatest sins in life was to waste time and money. After he announced his retirement to 'spend more time with politics', much-loved parliamentarian Tony Benn brought his unmistakable presence to the stage in a sell-out 'Evening with' event. 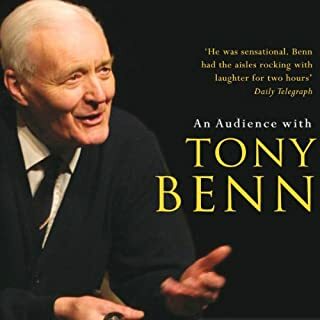 His only props: a flask of tea, some rubbed tobacco, and his trademark pipe.... An Audience with Tony Benn is a mix of politics, opinion, and debate as the man himself explores issues of today spiced with memories of the past. He then fields questions from a live audience, answered with his usual mixture of insight, analysis, and piercing wit. When Theresa May called a snap election in 2017, Labour was more than 20 points behind in the polls, and it seemed the only question was how big her landslide would be. The experts argued campaigns don’t move opinions much and young voters would not turn out. But Jeremy Corbyn and his team had other ideas. They knew people were angry about austerity and were confident they would support a manifesto for the many, not the few. In the most dramatic election of modern times, Corbyn’s inspirational campaign transformed British politics. Entertaining behind the scenes political drama. In June 2017, an earthquake shook the very foundations of British politics. With Labour widely predicted to suffer a crushing defeat in the general election, Jeremy Corbyn instead achieved a stunning upset - a hung parliament, the humiliation of Theresa May's government, and more than 40 percent of the vote. A lifelong and uncompromising socialist, Corbyn had, against all expectations, been dramatically elected leader of the party in September 2015. 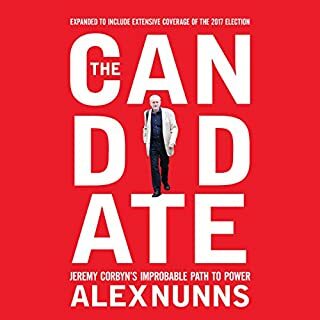 How these events came about is the subject of Alex Nunns' highly listenable and richly researched account. Against the odds, former steel worker Harry Perkins has led the Labour Party to a stunning victory. His manifesto includes the removal of American bases, public control of finance and the dismantling of media empires. The Establishment is appalled. Something must be done. As MI5 conspires with the City and the press barons to bring Perkins down, he finds himself caught up in a no-holds-barred battle for survival. 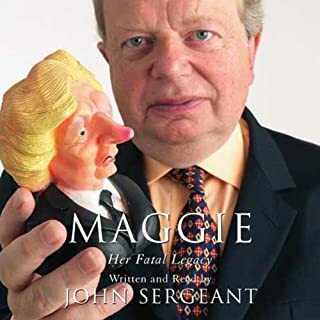 John Sergeant's long career as a political journalist has been inextricably linked with Margaret Thatcher since the night he stood on the steps of the British Embassy in November 1990 and announced to 13 million viewers that the Prime Minister would not be coming out of the Embassy to speak to the massed ranks of the world's press. As his broadcast continued, it was plain to all 13 million that Mrs Thatcher was walking down the steps behind him. 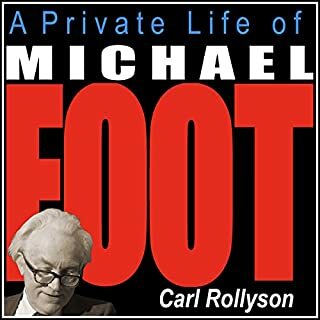 The late Michael Foot, once leader of the Labour party, lives on as a major figure in British political history, although he is best remembered as a fiery and eloquent standard-bearer for socialist beliefs and policies. Tony Benn's diaries began in 1940, and have been compared to those of Pepys in their detail, scope, and accuracy. This volume brings them right up to date, covering the Gulf War, the rise of New Labour, international repercussions of American foreign policy, and reactions against it. 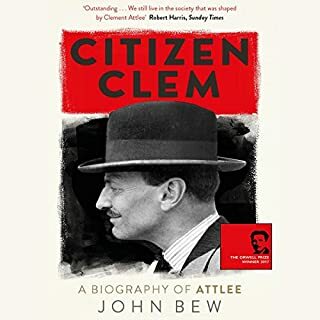 Read by the author himself, here is Tony Benn's record of the recent history of British politics, comprising three wars, three general elections, six party leaders, and two Prime Ministers. Political observations are entwined with a moving account of family life. Chronicling his final decades as a Member of Parliament, the diaries encompass political events, gossip, and entertaining observations. The focus is on the years leading up to his retirement, his anxiety about whether or not to stand again, and his great sorrow when his wife Caroline is diagnosed with cancer. Throughout, his honesty and integrity shine through. 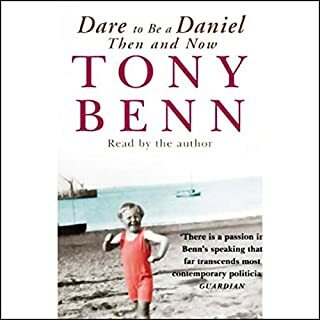 Never one to openly admit to being a socialist or indeed, particularly political in any way, I was unsure when a colleague suggested that I listen to this audio book by Tony Benn. My usual reading however does include some historical books so I thought 'hey why not'. And how glad I am that I took my friend's advice. This was an excellent book read with real feeling by the author. 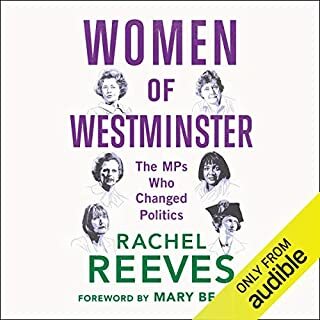 Not only did it give a great insight into the politics of the times, its characters and the behind-the-scenes goings on within parliament. But it also gave an insight into the man himself. Tony Benn comes across as a real honest, principled man and he reads his diaires with real feeling. He also comes across as a real family man who cared passionately about his wife and family. Tears literally rolled down my face as he talked in choked tones about the death of his beloved wife and again as he talked with immense pride of his son, Hilary's rise to become an MP himself. I could not recommend this book highly enough. It is never a dry political diary by any means. This is a man of a bygone age but whose principles and ideals are some things that our current political leaders could do well to embrace. Not what you might expect; try it. Whatever your political persuasion, I defy anyone not to find this book moving, enthralling, and full of incite. Tony Benn has a wonderfully light touch when describing events, and personalities, and he shows great generosity and respect to all sides. There is no political preaching or dogma, and he is refreshingly honest in his assessment of his own day to day work and achievements. The result is uplifting and restorative; there are people in public life who really care. Tony Benn: Free at Last! 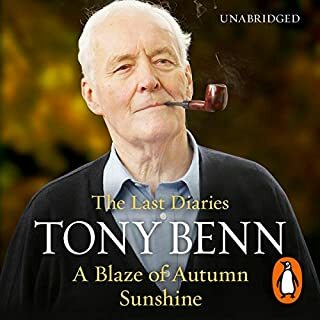 As an avid reader of political diaries, I was looking forward to listening to Tony Benn. He does not disappoint. 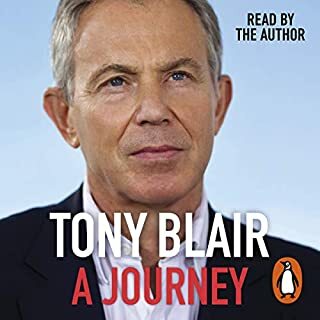 A touching and deeply personal perspective, and some delightful insights into his family life as well as his political one. Not as self-obsessed or acidic as Alan Clarke, but just as individual and independent minded. A refreshing change from the gloss and spin of the party machine. I was wary of buying this because I don't altogether support the author's political position, however I find spoken voice a pure magnet! In the event these fairly recent diaries are a joy. He combines his high principles with a schoolboy disregard of everyone else's, like most politicians he has a high opinion of himself. That said, he was by this time a lone voice in his party and pulls little punches. Of Gordon Brown he said he wouldn't employ him as a research assistant! Please do not miss this very entertaining and enlightening book. If you could sum up Free at Last! in three words, what would they be? It is interesting to hear Tony's life as an MP, and as a man. It is very very sad when his beloved wife passe's away. What was one of the most memorable moments of Free at Last!? When his wife passes away. What about Tony Benn’s performance did you like? I do not know why, but it is very engaging. 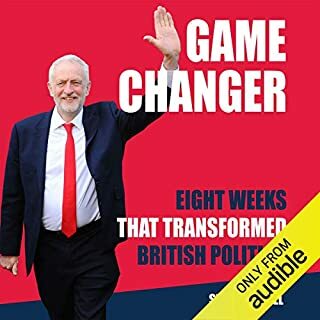 Regardless of ones views on his politics, you can't but be warmed by this personal account of a remarkable decade in British Politics. 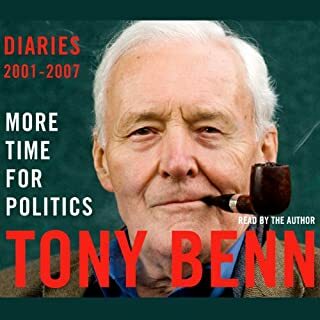 Tony Benn brings a unique, witty and warm insight into some of the headlines of the day; his diary style is light - yet profound, happy, moving and sometimes sad moments are captured. For the benefit of US listeners - Tony Benn is unique. Here he is reading his own diaries - and really bringing them to life. He is easy to listen to; a familiar voice retelling his experiences.